As instructor of a course called Writing the Popular Novel, I addressed the usual fiction techniques: characterization, plot, point of view, dialogue, and more. While lectures focused on the basic skills, discussions centered on topics in which a particular group was most interested. Some students asked for more information on pacing and creative plotting. Others seemed more concerned with deep characterization or viewpoint issues. One student might be working on a love story, while another on a thriller, mystery, Western, fantasy, or family saga. But they consistently voiced two concerns: not enough writing time, and fear of failure. It didn’t matter whether an individual writer was retired from their career or working full time. Everyone was desperate for practical tips that would enable them to confidently complete their writing projects without neglecting jobs, families, and other responsibilities. And without spending 3, 5, or even 20 years to complete a single book! 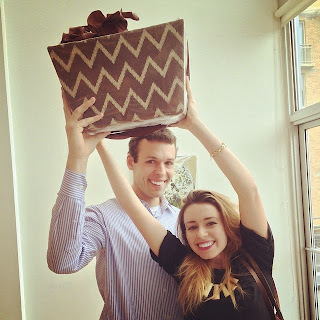 It seemed to me that they needed help in the form of an aggressive but reassuring model. And so, for the summer of 2009, I proposed a new course. It was to be in the form of an adult writer’s camp. We called it The Extreme Novelist. I envisioned it as a form of tough love for writers—an 8-week, intensive course that would support 15 authors through the process of getting a fast, rough draft of their novels written. It would be as informative as any writing craft course, while reinforcing a daily writing habit and troubleshooting life’s inevitable intrusion on writing time. To make sure students understood how serious I was about the program, and how committed I expected them to be, every student would sign a contract. It declared their promise to write “at least 90 minutes a day, 6 days a week for the duration of the course.” In addition, there would be “accountability time” at the outset of each weekly class, to make sure everyone was on task, and to urge on slackers and encourage the faint-hearted. The emphasis would be on making pages, building confidence, and getting the job done with less trauma—and with the knowledge that revisions and polishing to qualify their work for publication would come later. We’ve run The Extreme Novelist course for 2-3 semesters every year since then. The classroom is almost always full, and there’s often a waitlist. But it wasn’t until 2014 that I took to heart the comments from authors who said they would love to take the class but, for various reasons, couldn’t. They lived too far away from Bethesda. Or they couldn’t afford the registration fee. Or the Wednesday evening class times were already spoken for. Several said, “It’s a shame you can’t package it [the course] in a book.” I thought, “Well, why not?” After all, hadn’t I told them they could write any book they wanted to write? Shouldn’t I follow my own advice? This spring, that idea became a reality. 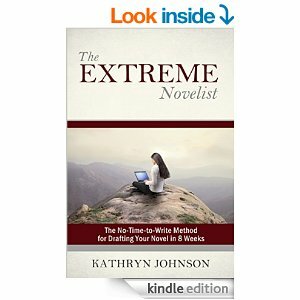 The Extreme Novelist: The No-Time-to-Write Method for Drafting Your Novel in 8 Weeks became available in The Writer’s Center bookstore, as well as on a variety of digital platforms. It will be the first of a series of books intended to address novel writing from a practical, 21st-century perspective. When I tell people I couldn’t have done it without my students, I’m dead serious. While I may have succeeded in inspiring them to persevere and get their stories written, they have taught me how to better teach and support them through the challenging process of writing book-length fiction. And for that I will forever be grateful. May all of your writing days be productive and satisfying! I invented the Writing Staycation five years ago because I wanted a wonderful, affordable, supportive week to write, but I could not go to an out-of-town retreat because of family responsibilities, a four-year-old son. Ten Staycations later, my son is nine. In April, I was able to go to the Icelandic Writers Retreat and experience a retreat as a participant. Wow: Inspiring speakers, interesting participants, vibrant workshops, and hot tubs heated by geothermal springs. The experience re-affirmed my belief in the vital importance of writing retreats: the chance for writers to take advantage of events that remove them from the daily buzz of emails, tweets, and inane Facebook posts, and actually focus on writing. Even if there are no hot tubs. 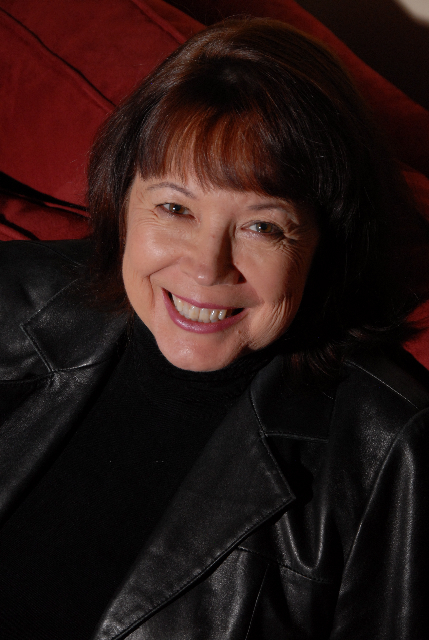 Here are my top reasons for you to consider joining the Writer’s Center’s Writing Staycation (http://tinyurl.com/WriteStay15) or any other writing retreat. 1. You'll have big chunks of time to focus. Let’s face it, 30 minutes here and there only lets you get so deep. When you have big chunks of time at a retreat, you can accomplish grander goals—outlining your whole manuscript, for example. Compiling your complete chapbook. Drafting the first chapter of the book you have had in your mind for ten years. Restructuring the flow of your novel. Reading and editing your whole memoir to get it ready for an agent. 2. You'll strengthen your craft. Most retreats offer classes, presentations, or one-on-one meetings with amazing writers who will give you advice on everything from powering up your sentences to writing cliff-hanger chapters. At the Icelandic Writers retreat, I was inspired by Barbara Kingsolver, Adam Gopnik, and Taiye Selasi. At the Staycation, our lunch speakers and writing coaches have included poet and literary activist Ethelbert Miller and memoirist Daisy Hernandez. 3. You'll gain momentum on your project. One week of focus can give you momentum that lasts way beyond the retreat. You might either get a start that keeps going—or move forward with a project that has been languishing. When you get the fire of writing to burn bright, the flames will continue to generate heat. 4. You'll benefit from accountability. A retreat often creates a community of writers and a strong sense of accountability to your own writing. 5. You have an important story to tell. As the facilitator of the Staycation, I have learned that everyone who walks in the door has a fantastic story—whether the genre is fiction, memoir, nonfiction, or poetry. Retreats can help you gain more trust in the power of your own story – and the time to bring the story to life. The next Writing Staycation is coming up June 8 to 12, 2015. Hope you can join us. 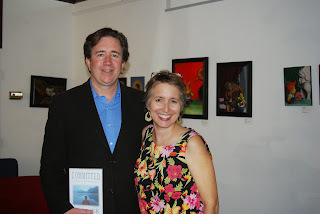 Photo: Author Patrick Ross with Zahara Hecksher. Ross wrote parts of his book Committed: A Memoir of the Artist's Road in the Staycation. Congratulations to Anna Quinn of Catonsville, MD, for winning first place for poetry in the Bethesda Literary Festival's writing contest, published below. like you know what—but how to show the wings? the girls’ task of drawing feet and noses. Honorable Mention: Sarah Sansolo, Washington, D.C.
A writer has teamed up with an economist to create an innovative new journal that will soon be hitting the streets (literally) of Washington, D.C. Conceived by Carolyn Supinka and Zenon Zabinski, VIATOR is a magazine whose mission is to put literary and visual art in public urban spaces to reach a new audience. 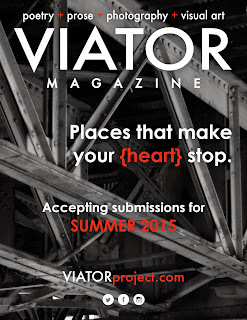 Each issue of VIATOR is centered on a particular city, but includes poetry, prose, photography, and other visual art inspired by spaces and places around the world. Unlike your typical magazine, you’re more likely to find the first issue of VIATOR on a street corner or by a bus stop than in a bookstore or coffee shop. While the creators expect to attract some subscribers to the magazine, their primary audience is the unsuspecting denizens of the street. Copies of the first issue, VIATORdc, slated for publication in Summer 2015, will be ‘dropped’ in public spaces throughout Washington, D.C.
Supinka and Zabinski hope to build on the success of the first issue of VIATOR to have the magazine ‘travel’ not only to other cities in the U.S. but around the world. VIATOR is accepting submissions until June 5 for its first issue at feedthebeast@viatorproject.com. More information about the magazine can be found on its web site at www.viatorproject.com.